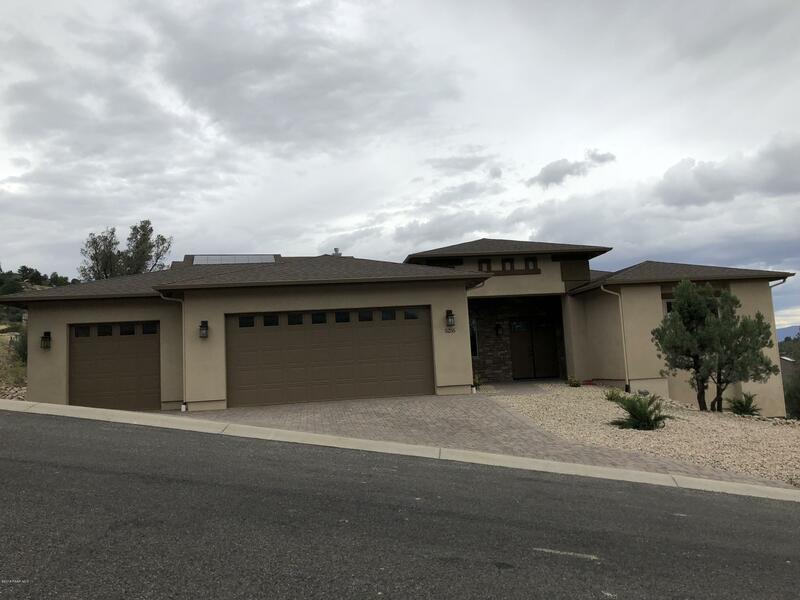 THIS HOME IS A NEW CUSTOM HOME ALMOST COMPLETED, located in one of the most desirable subdivisions in town with great views everywhere you look and no HOA fees. Enjoy the master bedroom deck and also a large deck in the back and on the east side of the home. Open floor plan with 10 feet ceilings. Three car garage. Granite counter tops, Flooring carpet, water proof laminate. 42 inches upper cabinets. 8' tall doors. 95% AFUE Furnace. Sprayed roof insulation. Large crawl space for extra storage. Driveway and walkway paver. Lots of other upgrades. Construction started at the end of Jan. 2018. Expected completion date August 31st.